> Looks Like Apple Juice This Year! 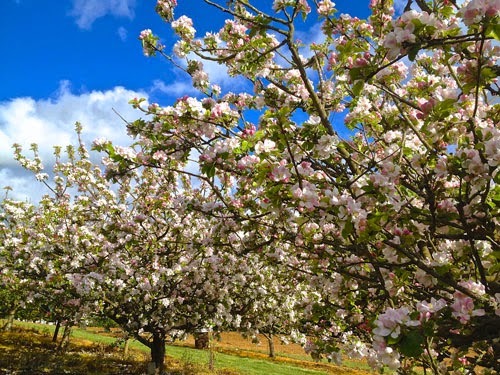 Our apple orchard is in full bloom now. 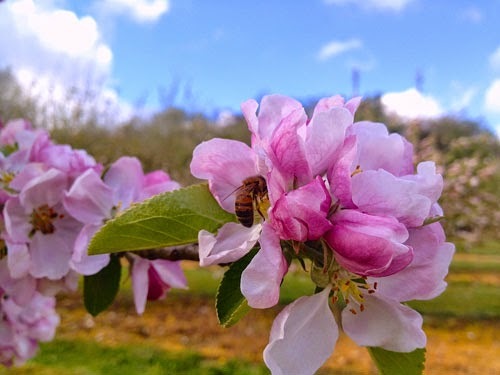 Some of the blossoms are as big as rose petals and our bees are loving it! If the weather is kind to us this year we should be pressing the apples in Sept/Oct. Then we cart the freshly bottled juice to The Hive Honey Shop shortly thereafter. 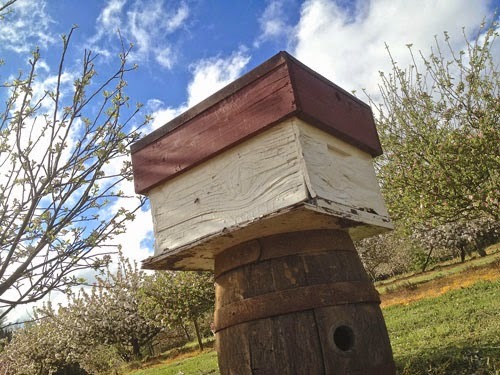 Here are some photos of the bees pollenating the trees for us and gathering apple nectar.